Global Views 1.10117 - The finial on these decanters is shiny nickel plated brass cast in India, and the glass is hand-blown, mold-formed in Portugal. 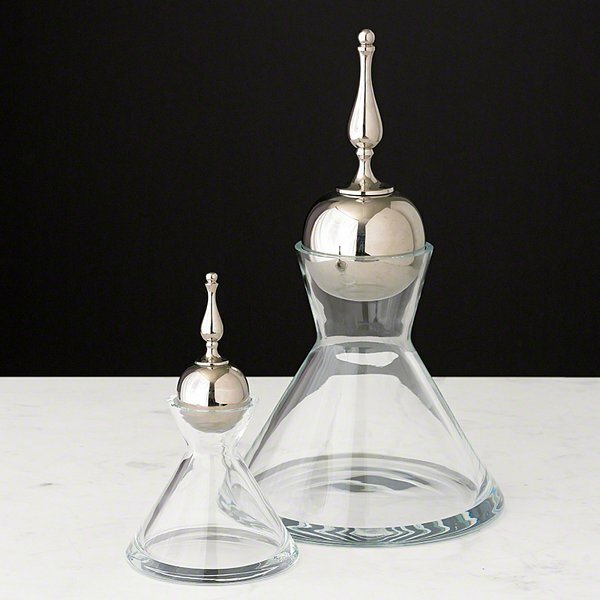 The two elements are married to produce these elegant decanters. Large and small sets sold separately.